The bunny chow has several suggested origins, but I am proud to say it is an absolutely 100% Durban invention. Many moons ago, back when the Brits were rampantly colonising the country, indentured labourers were shipped in from India to work on the sugar cane fields. With them, came the tastes of India - curries, spices, cardamom, bay leaves, chillies, ginger and garlic. One of the tales goes that since packaging wasn't as easily available in 19'voetsek', labourers would hollow out loaves of bread to transport their curries to work with them. Another tale suggests that Apartheid laws meant that black customers were prohibited from being served at restaurants and the bunny chow was invented as a a handy way for people to buy food that they could take away. The actual term bunny is derived from the name ‘Banyas’ which is one of the indian Gujarati Castes. It actually has nothing to do with furry rabbits. 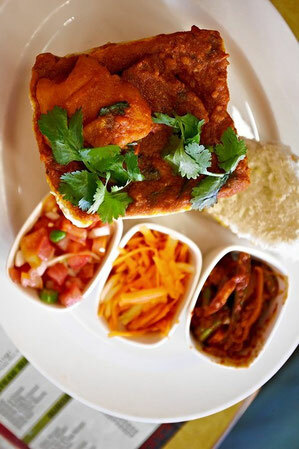 A popular Gujarati take-away began serving their meals in this manner, hence the name ‘Bunny Chow’. 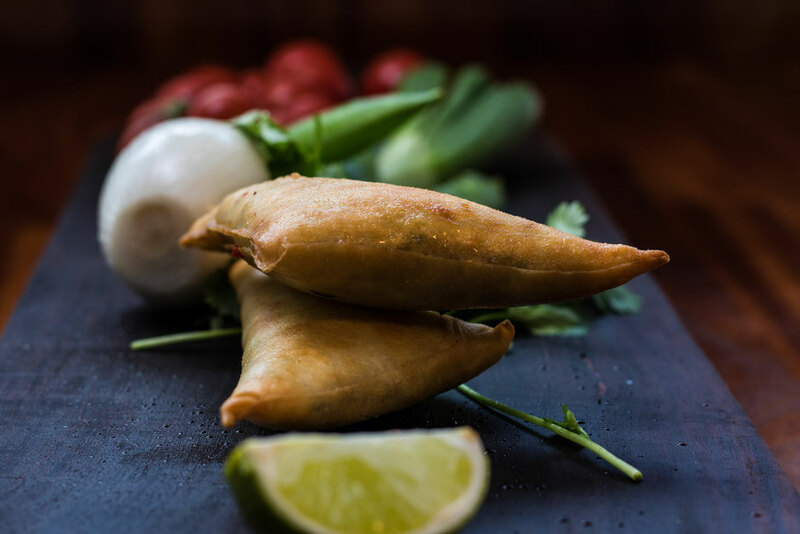 Traditionally the curry filling was vegetarian, but soon this branched out into meat too, with mutton being the most popular option. Great! Now come and join us for a meal!